In a move welcomed by management and staff, ownership has transferred from leisure giant Merlin Entertainments to marine life charity The Sea Life Trust. 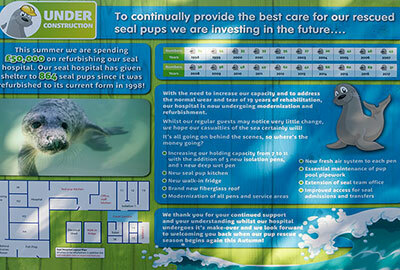 The UK´s fastest growing wildlife charity, the Trust is supported by the global network of Sea Life aquariums and has also worked closely with the Sanctuary for the last three years. Merlin has recently invested in a hospital refurbishment and upgrade of vital life-support systems in order to hand over a "ship-shape" Sanctuary - this year celebrating its 60th anniversary. "This is brilliant news for the Sanctuary and we believe places it in a much stronger position going forwards," said General Manager Jana Sirova. 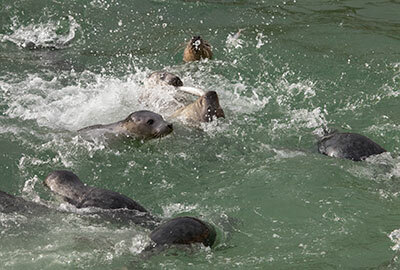 "It allows us to concentrate on what we do best, namely rescue, care for and return to the wild dozens of stranded, sickly and injured seal pups every year," she added. "Charitable status enables us to retain more of the revenue generated by our visitors and could enable us to attract valuable grants." The Sea Life Trust, which raises more than £300,000 annually for conservation projects worldwide, gains a flagship for its endeavours. "We have watched the Trust´s rapid growth in reach and impact with real pride, and wanted to make a commitment a help it grow even further," said Merlin Director Nick Mackenzie. "Under the Trust´s stewardship the Sanctuary, which has been an important part of Merlin´s heritage, will be able to further cement itself as a key pillar of the marine conservation community in Cornwall and beyond." "Our year-on-year investment means that we have handed over a facility in much better shape than the one we acquired in 1993." 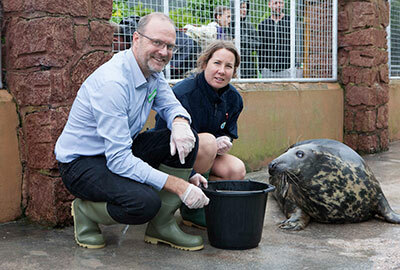 Andy Bool (photo left), Head of the Sea Life Trust, said that the move represented a huge step forward for the Trust and one that both Trust and Sanctuary teams were tremendously excited by. "As well as securing the long-term future of the Sanctuary it will strengthen the Trust´s fund-raising capacity enabling it to invest in more vital local, national and international marine conservation efforts," he said. Sanctuary staff will continue to receive many of the benefits they received as Merlin employees. 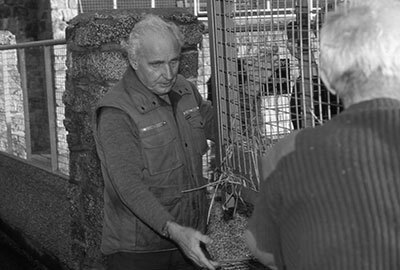 The Cornish Seal Sanctuary was founded in 1958 in St Agnes, when animal lover Ken Jones rescued an orphaned pup and looked after it in his garden - just 100 yards from the beach. More casualties followed and with just one small pool Ken managed for many years to care for both seal pups and oiled seabirds. The move to the 42 acre site at Gweek came in 1975. 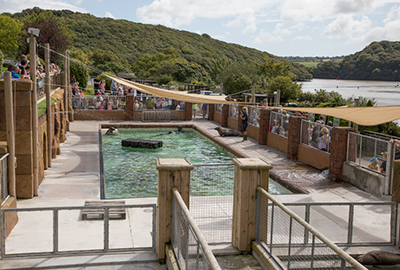 Facilities now also include three large pools for resident grey seals and retired sea lions, a convalescence pool for rescued pups, underwater viewing observatory, penguin pool and woodland trail leading to an enclosure for a pair of Asian otters. 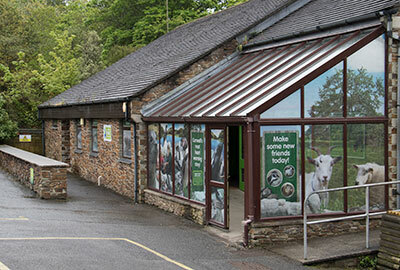 There are also paddocks for rescued farm animals, an impressive reception building with exhibition centre, offices and staff rooms and a popular café and gift shop.